Dhaka, 20 August, Abnews: American pop singer Nick Jonas and his parents left from here for the US, two days after solemnising his relationship with actress Priyanka Chopra. Nick and his parents left India late on Sunday night. He sported an all-black ensemble paired with white sneakers. His mother Denise wore a denim top, black pants and carried a classic Louis Vuitton tote bag. Nick's father Paul was dressed in a white t-shirt and blue jeans. As the "Chains" singer entered the airport, he waved a goodbye to the Indian paparazzi. The family members had arrived here on 16 August. 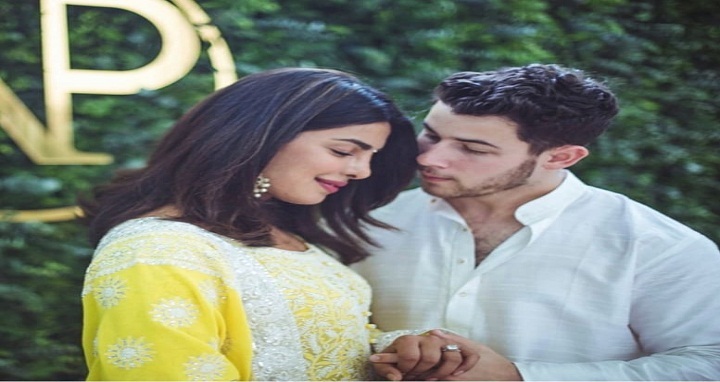 Priyanka and Nick on 18 August sealed their relationship with a traditional Indian 'roka' ceremony -- considered the first wedding ritual for Punjabis -- in the presence of their close family and friends here.